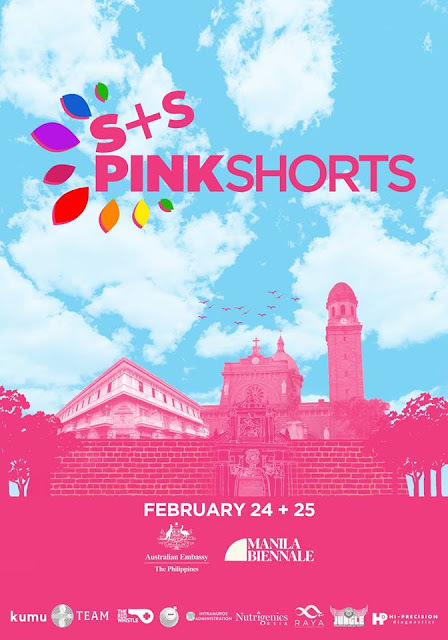 The Short+Sweet International, in partnership with the Australian Embassy​, joins the Manila Biennale​, to launch the first-ever PINK Shorts Manila on February 24-25, 2018 (Saturday & Sunday)​, at the Teatrillo in Casa Manila, Intramuros. 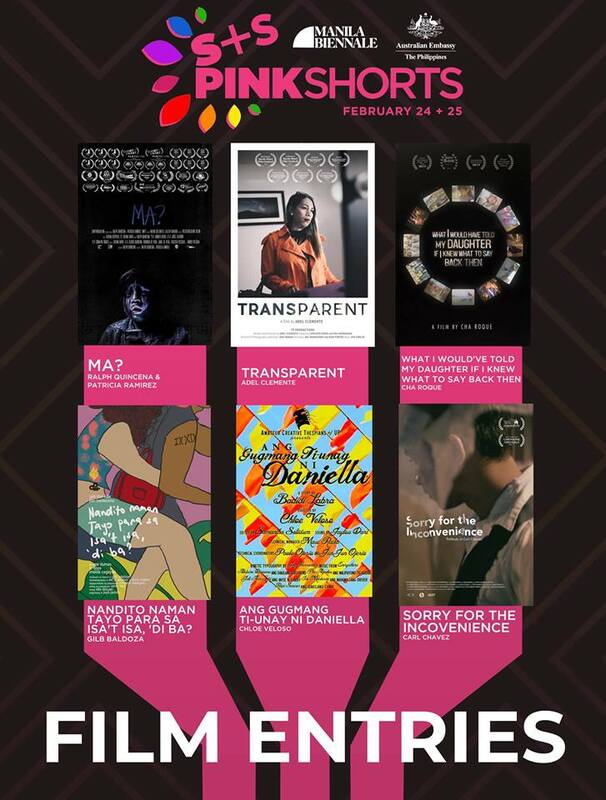 The Short+Sweet International is known for featuring each piece of performance artwork in a span of 10 minutes or less. 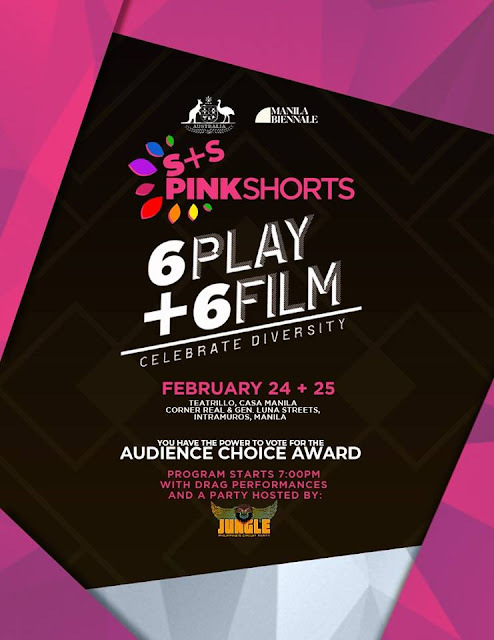 PINK Shorts Manila is the LGBT component of Short+Sweet that aims to deliver a selection of contemporary stories of LGBTQI struggles and aspirations, while providing an additional platform for artists to showcase their talents. 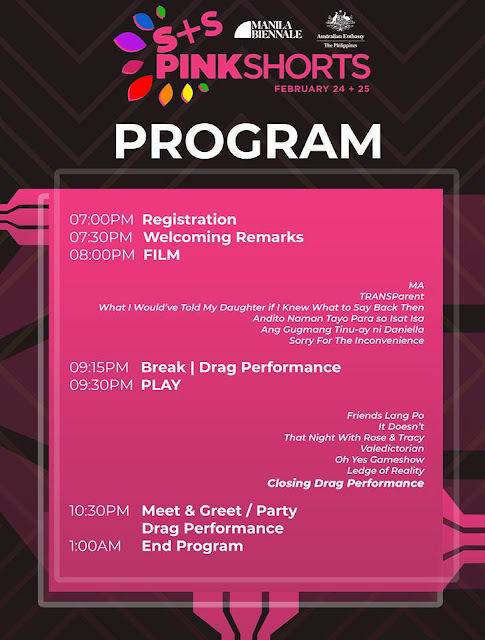 The program will start at 07:30PM, besides presenting 6 short plays and 6 short films, PINK Shorts Manila will also feature performances & art exhibitions of local LGBT artists who are known for their craft. In addition, there will be also be a party hosted by JUNGLE Circuit Party to close the two-day festival right in the heart of Intramuros. 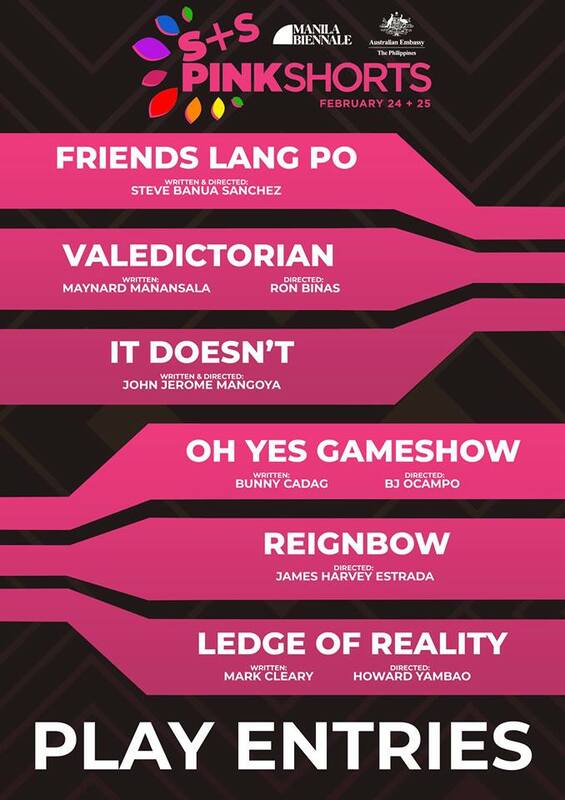 Nandito Naman Tayo Para Sa Isa't Isa, 'di Ba? Short+Sweet is a global festival brand, founded in Australia, that gathers together highly successful forms of performance arts – from theatre and dance to cabaret and song festivals around the world, where each piece is performed in a span of 10 minutes or less. In the Philippines, the organization has already launched the Short+Sweet Theatre and the Short+Sweet Film Festival, with some of the works featured in Hollywood.